As a locally owned company rooted in Guam, the 'Hafa Adai' spirit is at the heart of our mission. 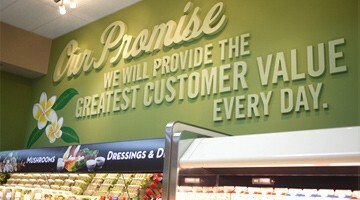 TOGETHER, we promise to provide the best value of fresh, quality products packaged into an exciting food shopping destination, build our family of valued and impassioned employees, and care for our community. At Pay-Less, our employees are our most valuable assets to our company. We believe in building valued and impassioned employees through customer service and department trainings, and employee development programs. Interested applicants may visit our Pay-Less Markets Corporate Office Human Resources Dept. at 116 W Chalan Santo Papa Ste 103, Hagatna, Guam (across Calvo's Insurance) from Monday - Friday (8am - 5pm). Pay-Less Markets Inc. is a DRUG-FREE WORKPLACE & AN EQUAL OPPORTUNITY EMPLOYER.